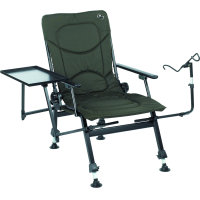 Carp chair with armrest: cloth manufactured in dark green 600D polyester material with waterproof PVC coating. 4 telescopic legs, bottom with tilting mud feet. 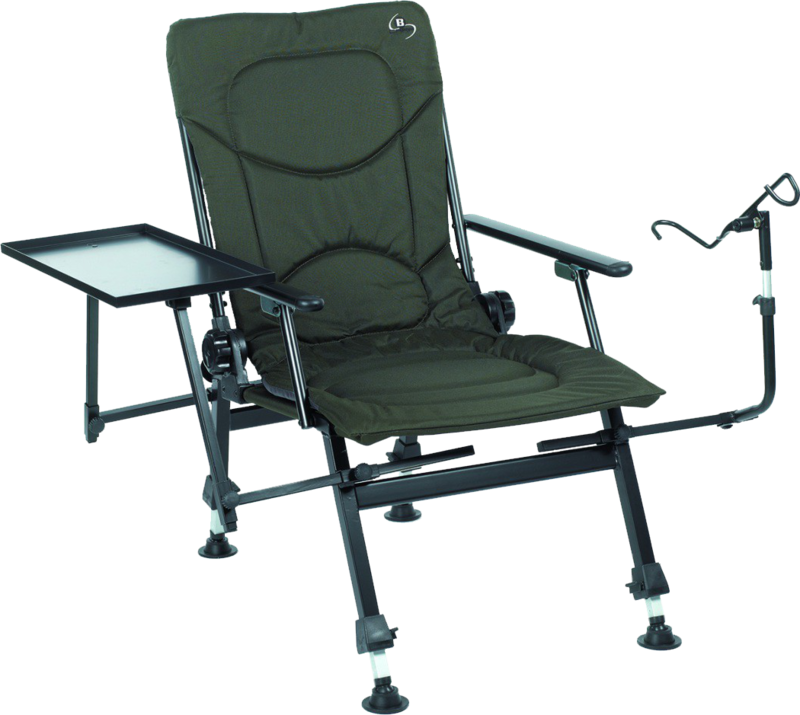 The carp chair is equipped with an accessory table and rod holder.